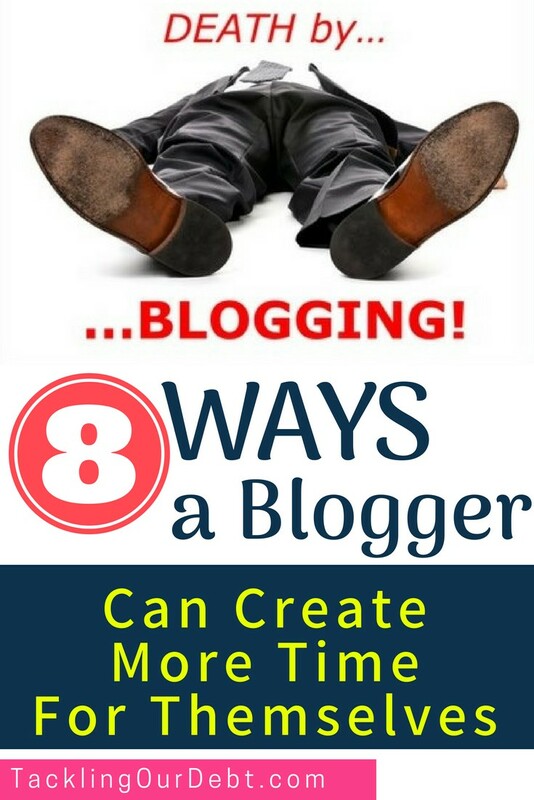 If you found this, it is because you are feeling overwhelmed as a blogger, and you are searching for ways a blogger can create more time for themselves. You see for many people working on their blog is a hobby. They write for fun and use it as a personal journal. But, for other people blogging is a business. Their blog may start out as a side hustle and develop into a full-time business, making serious money, as many have over the past 12 years. If you are working on your blog on a full-time basis I’m sure you already know how much work is involved. Everyday there is more that needs to be done, and if you are like most, you are working on stuff months ahead of time. But what happens when your blog starts to interfere with your home life? Or what happens to your blog when your home life is hectic and you feel like you are being pulled in a million different directions? Or do you hire some help, and\or find more efficient ways to get things done, so that you have more time for yourself? You could hire a virtual assistant to help with all of the tasks involved in running your blog. But you do have other options as well. Now keep in mind that the items below will cost you money, but you need to compare that cost against how much money you could be earning if you were working on your blog\business versus doing the tasks listed below, or for that matter, any other tasks that take you away from your work. You could hire a full time housekeeper or a part time housekeeper depending on your schedule and your own work requirements. Many people find that having a housekeeper to clean their house 2 or 3 times a month allows them to focus their time on their work. This can be even more important when you work from your home. Some people can remain focused on their work no matter where they are located. Others find it distracting to work at home when they are thinking about the other work that they need to do around the house, such as cleaning the bathroom or fixing a leaky faucet. They may find themselves multi-tasking and then wonder where the day went. Knowing that a housekeeper is coming to clean up at the end of the week will help you remain focused on your blog. About eight years ago I came across two excellent ideas for organizing and preparing dinners in advance. The first one is called the Big Cook. The idea behind the Big Cook is that you and your friends get together once a month to do what they refer to as bulk cooking. You prepare large recipes of meals and then package them in portions for the freezer. Everyone in your group can take home a variety of meals based on the recipes that you choose and the number of meals you make for the month. Then each day you have a variety of meals in your freezer and you can easily make dinner for you and your family. The Big Cook cookbook explains everything you need to know. The second way to organize and prepare dinners in advance is to participate in a meal assembly program. This is a program that is hosted by a meal assembly business such as Dashing Dishes. They create the recipes, purchase and prepare the ingredients and schedule the assembly sessions. All of the ingredients are uncooked. You schedule the date that you can attend a session, typically in the evening, and select the recipes that you would like to make. At the session they have all of the ingredients laid out for you to use, along with containers to pack your food into. You follow their recipes to create the meals that you selected and you package them for your freezer. They suggest that you bring a camping cooler with you to take the meals home in so that they stay cold. Once you get home you put all of the meals in your freezer. Each day you put one of the meals in your fridge so that it is thawed out for dinner for the next day. Cook it following the instructions that are provided for you and dinner is ready. 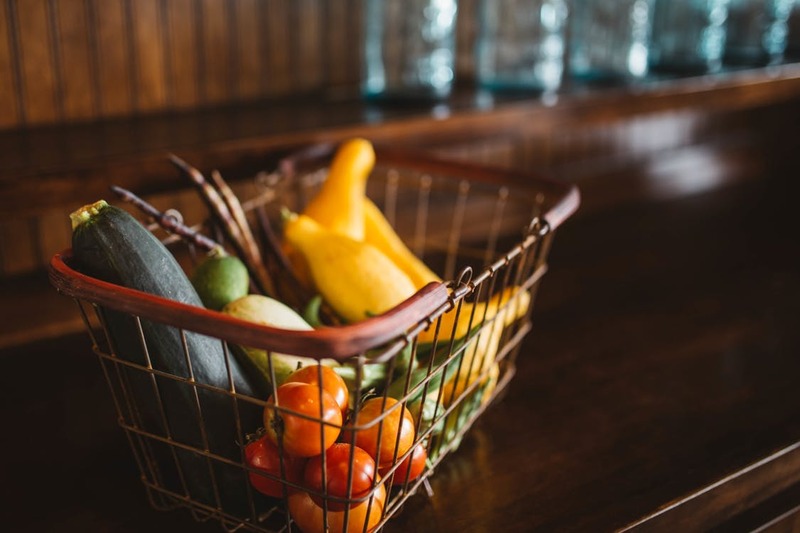 If preparing your own meals is something that you really enjoy you can still save time by having your groceries delivered (depending on where you live). Look online for a grocery store in your area that delivers. You do not need to be rich and famous to hire a personal assistant. You can hire a personal assistant on an as required basis to complete a variety of tasks for you. Most concierge services provide a large selection of services such as gift buying, house sitting, moving services, shopping, errands, travel arrangements, etc. Not only will this save you time but it will also save you money because you will not need to drive around to complete all your tasks. In the summer I love to mow the lawn, plant flowers and look after all the trees. While that can be great some days, other days it can take me away from focusing on my work. Several of my neighbours own small businesses and I noticed that they have hired a Gardener to look after their lawn and plants. Each week they arrive and spend a few hours cleaning everything up. Depending on where you live, this may be a great service for you to consider too. If you are busy working on your blog and making money, and numbers are your thing, then you probably do your own bookkeeping. However, if you find that bookkeeping is not your strong point then you may want to consider hiring a bookkeeper. You do not need a full time bookkeeper. You need someone that you can hire on a weekly, monthly or quarterly basis, depending on your requirements. This will definitely free up your time so that you can focus on the tasks that you do best. Many people need quiet time to work on their blog, but that may not always be possible if you have young children running around while you are trying to work. Yes, you could get up really early or stay up really late and work on your blogging tasks. And, you could try to work on your blog while your children take a nap. But after doing that for 6 months or a year, you may begin to feel quite tired. If that describes you, then consider hiring a nanny or a part time babysitter to look after your children during the day so that you can have some quiet time to work on your blogging business. While this may sound like a luxury it is in fact a real time saver. If you or someone in your family wears dress clothes to the office every day, and your clothes need ironing, you will find that dropping your clothes off at the dry cleaners on a weekly basis will save you many hours. These are hours that you can spend working on your blog and making more money.